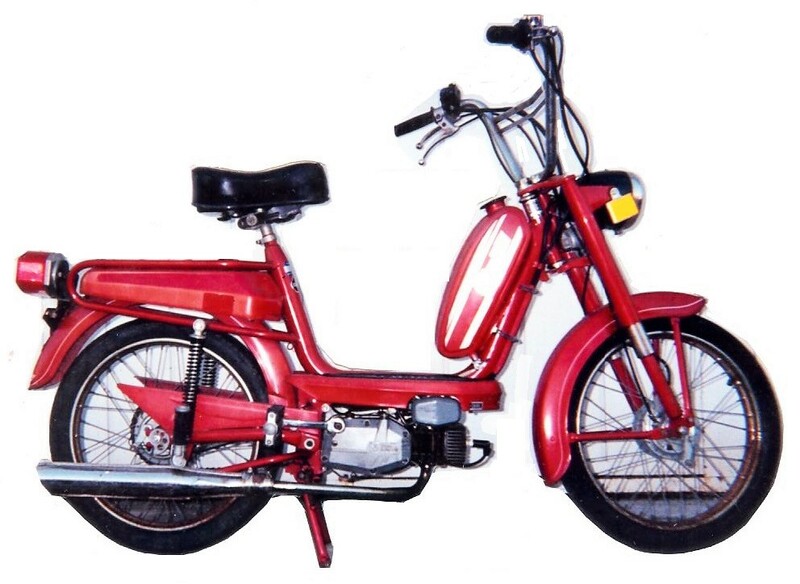 In 1937 the Olympic cyclist Marco Cimatti founded a small company in Bologna Italy that originally produced bicycles. 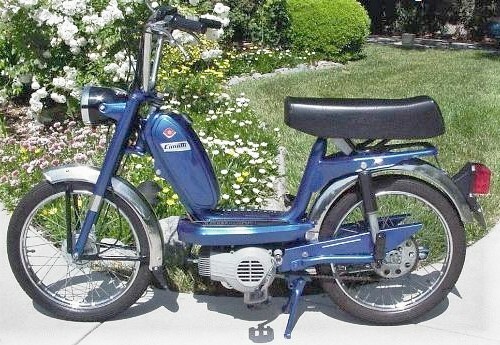 In 1950 Cimatti changed to mopeds, and in the 1960s produced the Velocim moped, with Minarelli P1 motor, along with motorcycles and fully enclosed scooters. Marco’s son, Enrico Cervantes Cimatti expanded the business to export to the United States, France, Norway and Tunisia. Cimatti Enrico SpA: By 1977 Cimatti only produced 50cc models, Chic, Town Bike, Twin Sport, Gran Prix XL, City Bike, and mini’s Mini Chic, Bat Boy, Bat Baby (all with tube frame, Minarelli V1 1-speed automatic engine), 86 (U-tube frame, Minarelli P4 4-speed manual shift). 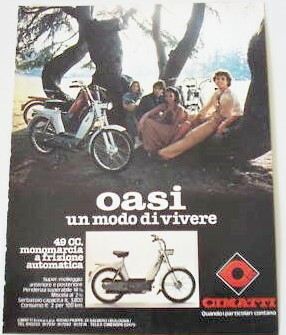 In 1978 they presented the Oasi, with a new pressed sheet steel frame, but still a Minarelli V1 engine. 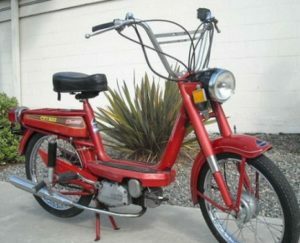 In 1980 they released the Gringo with a 4-speed Minarelli P4. 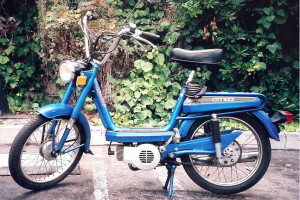 A recession in the early 1980’s forced the company to close in 1984. 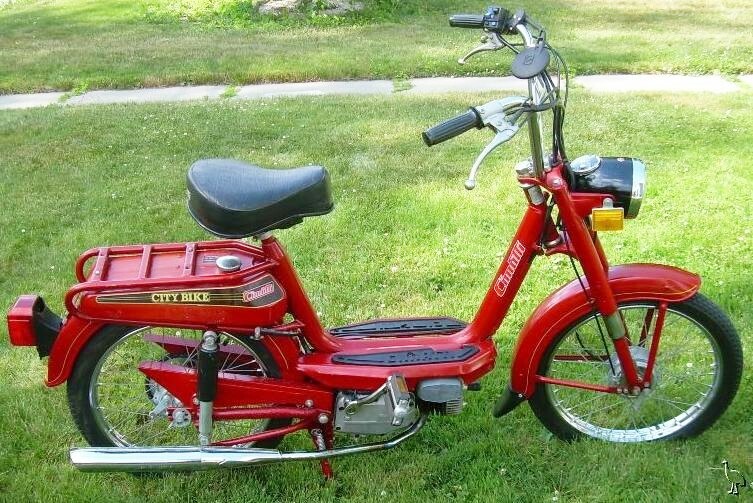 City Bike is the USA version of Chic. 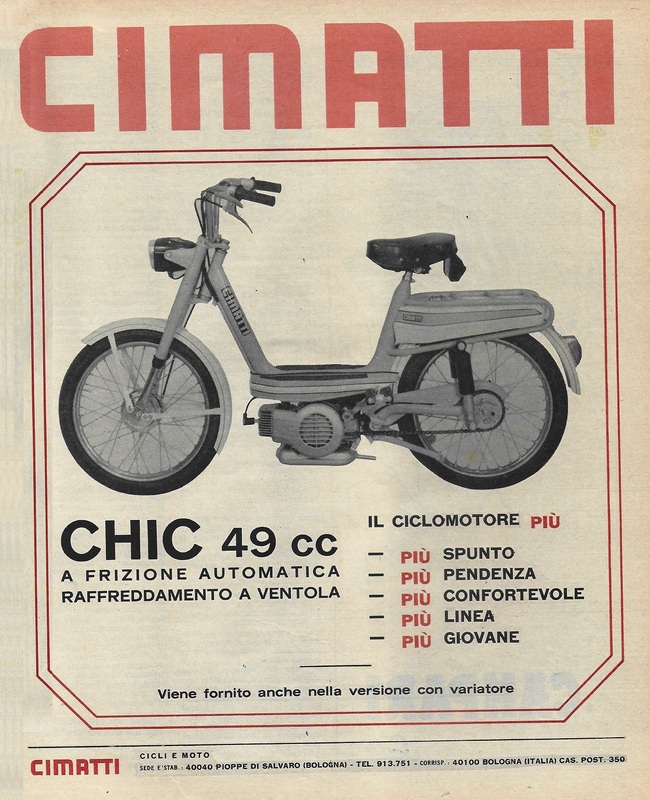 In the US, “chic” is slang for “girl”. 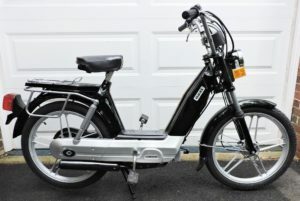 So the name was changed. 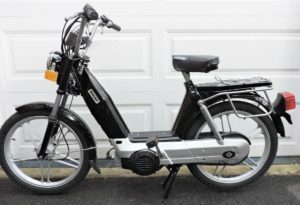 Cimatti Ltd: The US importer/distributor was Cimatti Ltd., Berkshire Industrial Park, Bethel CT 06801. In 1978 they produced red dealer notebooks, well-made, with parts, service, policies, etc. 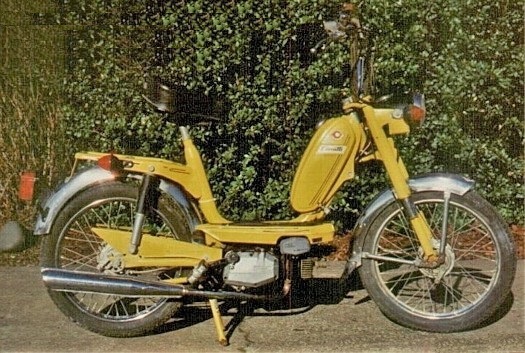 US model mopeds ID stickers said the maker was Cimatti Ltd (1976-79) or Cimatti Enrico SpA (1980-81). 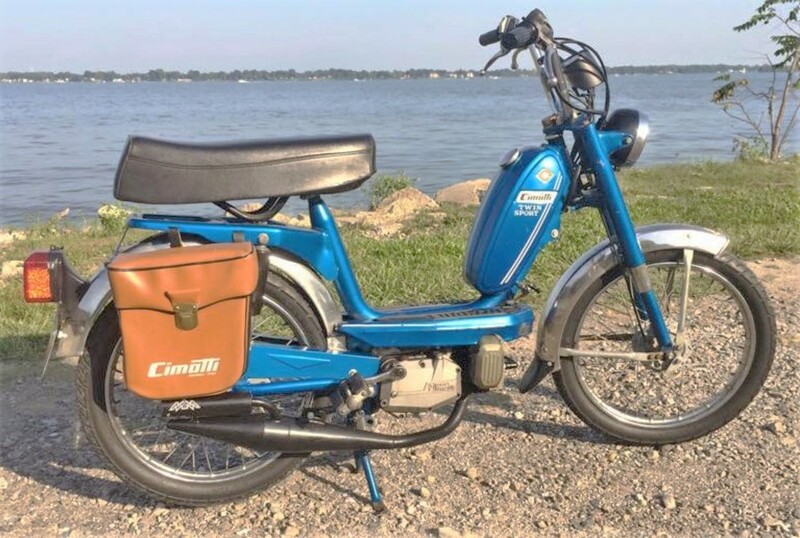 Marina Mobili: In the early 1980’s Cimatti Ltd. became part of Marina Mobili Inc (MMI) in Moonachie New Jersey. MMI bought out most of the Italian moped US importers in the early 1980’s, like Baretta (Piccoli), Cimatti, Demm, Gitane (Testi), Malaguti, Negrini, Pacer (Italtelai) and others. 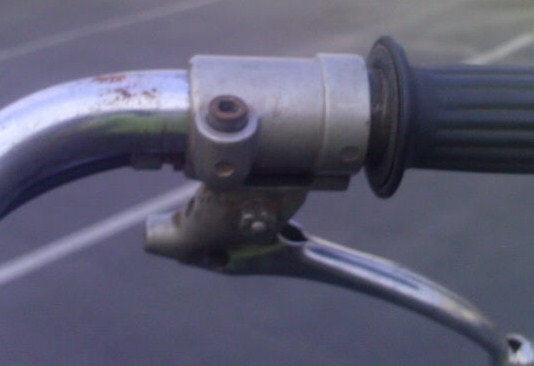 all single ended (universal) cables (except early wrap around throttle cable). Shocks: Cimatti rear shocks are compatible with Tomos. 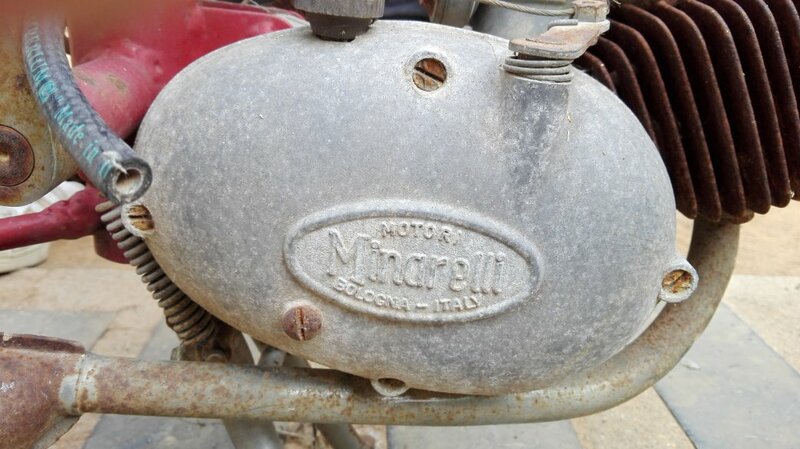 Exhaust: One-piece exhaust is longer than other Minarelli ex,austs, sticks out past the tire. 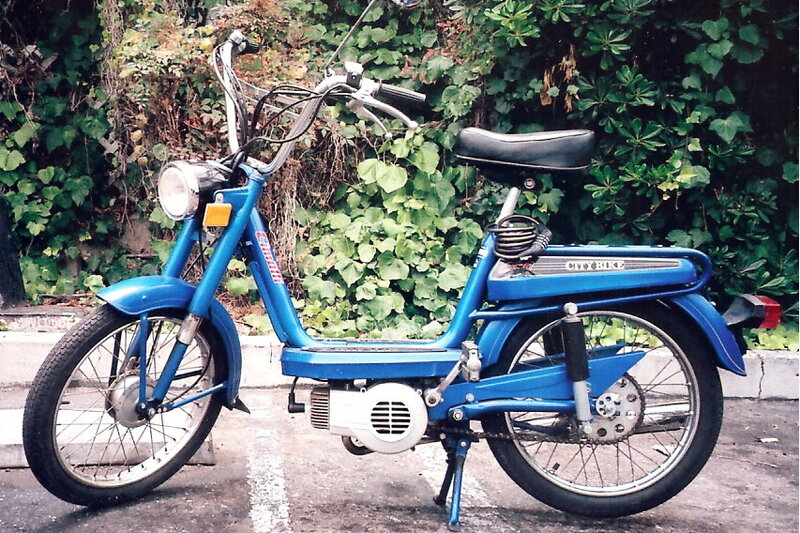 After 1977 the Town Bike was called Twin Sport, even though it still had one gas tank. 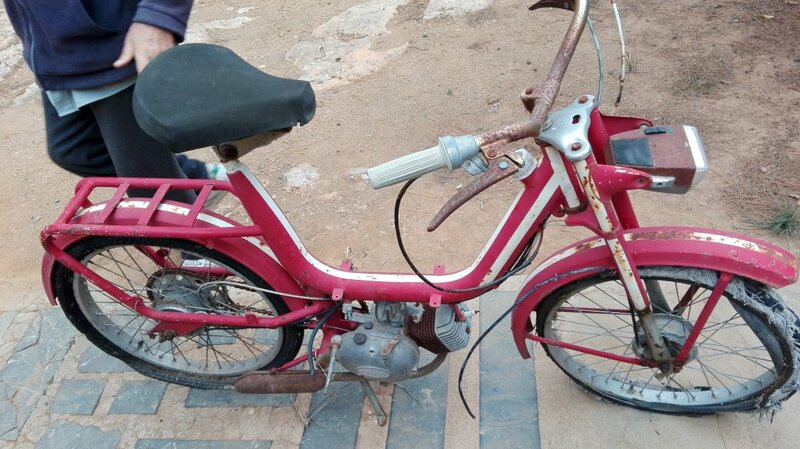 This one has a replacement ULO tail light. 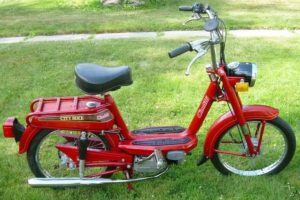 Secret Toggle Switch: Cimatti mopeds, US models, with the “bullet” type headlight (City Bike, Town Bike, Twin Sport) have a secret toggle switch under the left side of the headlight. 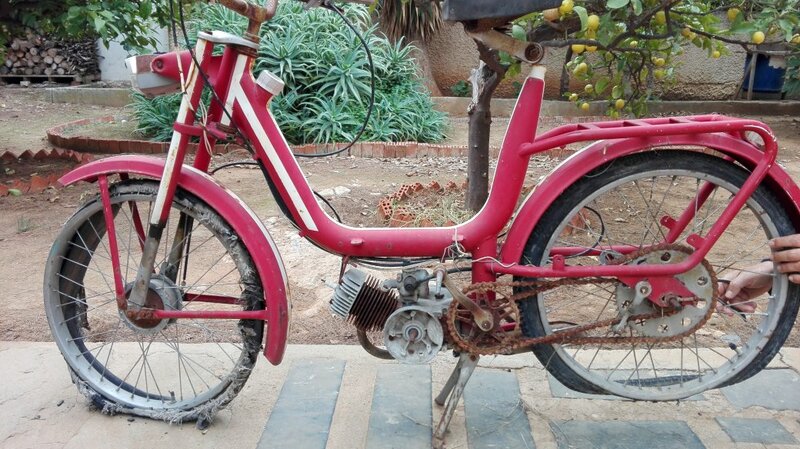 It is for emergency use if the engine ever looses spark. 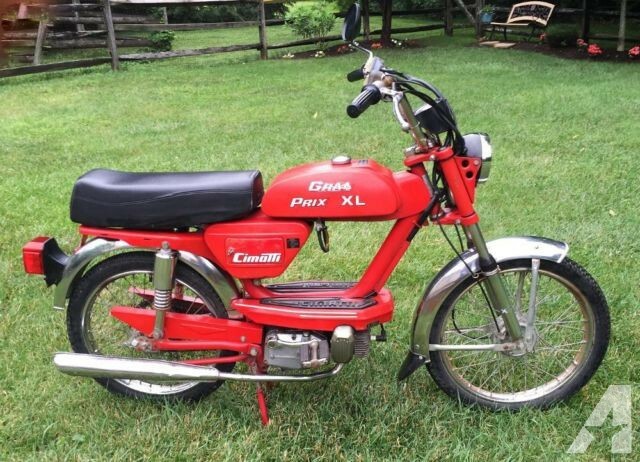 If brake light wires become disconnected, like when the rear light is missing, the engine will not run. By switching from “normal brake light operation” (switch towards rear), to “no brake light” (switch toward front), the spark is restored and the engine will run, but the brake light will not operate. 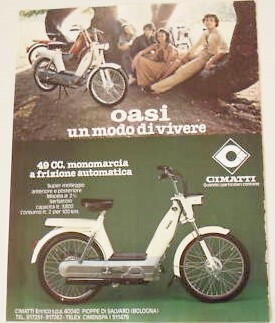 The Cimatti Oasi has a stamped sheet frame. The following parts, that Myrons has, will (eventually) be listed here: Cimatti fenders, side panels, chain gaurd, rear shocks, fork assy, handlebars, center stand, frame parts, seats, exhaust, decal sets (also in Accessories/Stickers), Cimatti manuals. 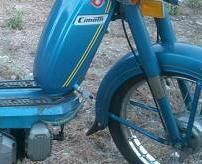 Cimatti Throttle Cables: Cimatti mopeds have two different throttles. 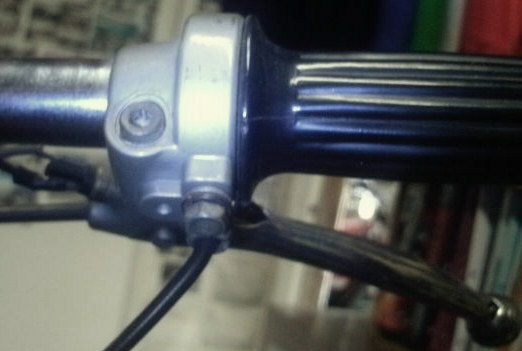 1) the 1976-1977 Domino “wrap around” throttle, which takes a double ended throttle cable, that comes out from the bar. 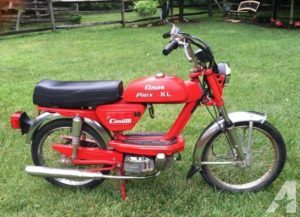 2) and 3) the 1977-1979 Domino “sliding block” throttle, which takes a single ended (universal) throttle cable, that goes along the bar. 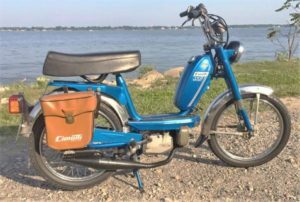 Cimatti Carb Elbow: All Cimatti mopeds use the same Delorto SHA14/12 carburetor, which normally has the original 90 degree curved tube, known as the “carb elbow”, where the throttle cable enters the top of the carburetor. 4) the very low carb elbow is still almost as high as the floorboards. 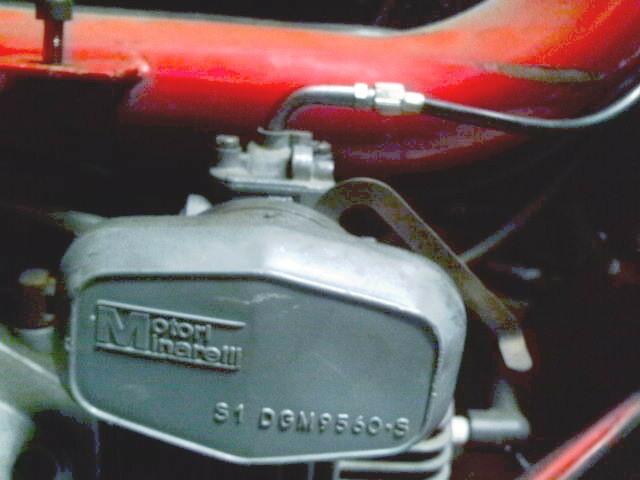 The double ended throttle cable is set for the length of the original carb elbow. Without the elbow the wire is too long. 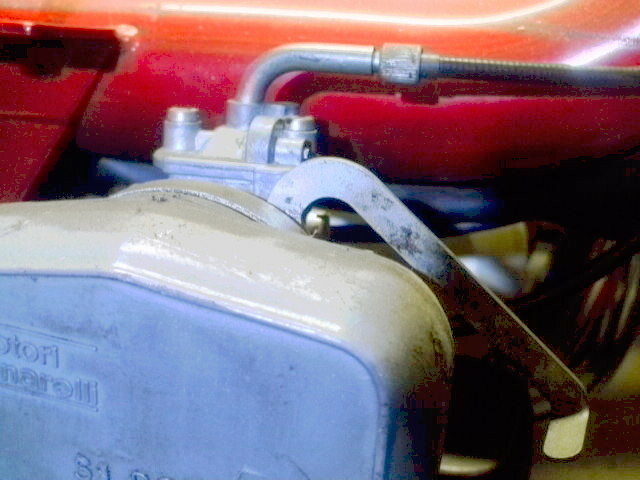 A new single ended (universal) throttle works with or without a carb elbow, as the length is set by the pinch bolt during installation. 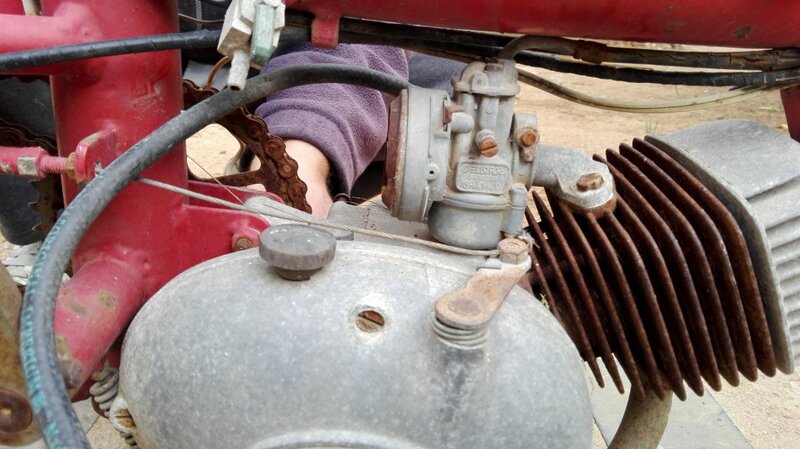 5) the correct carb elbow for Cimatti shown separately. 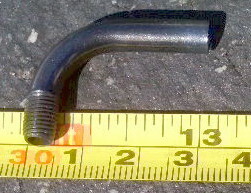 It is 30mm long and 22mm high, total. 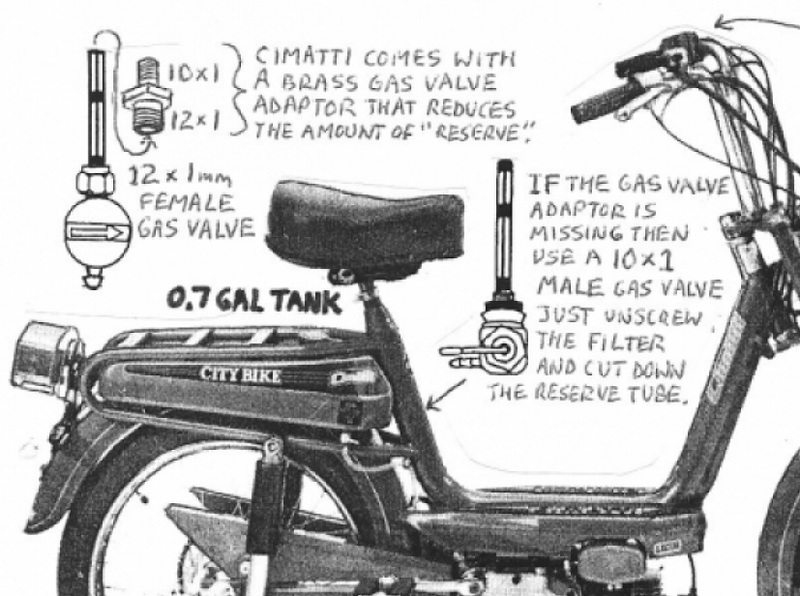 6) a Cimatti with a not-original shorter carb elbow. Click to enlarge and notice how the elbow in picture #6 is 9mm shorter than the elbow in picture #4. 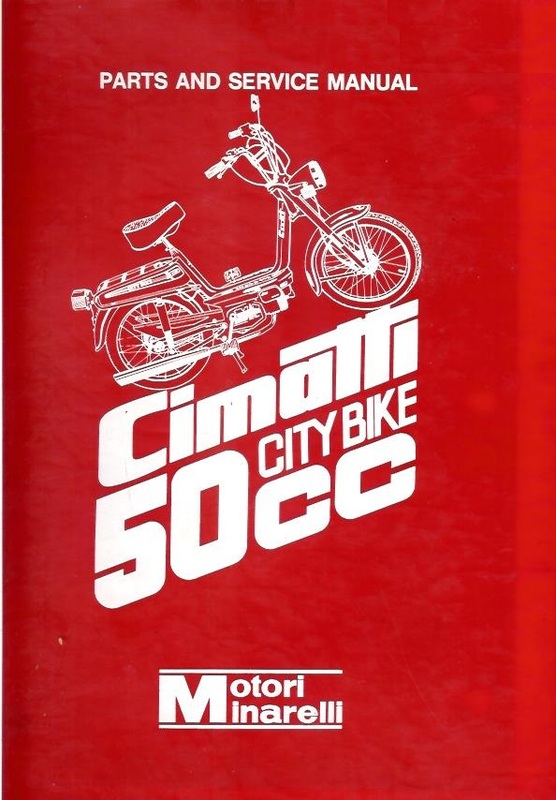 Cimatti Double Ended Throttle Cable for Wrap-Around Throttle: Housing length 37 inches, Exposed length 94mm (3 11/16″), diameter at ends 5.3mm (Barnett #MP-305) to 6.5mm (OEM). 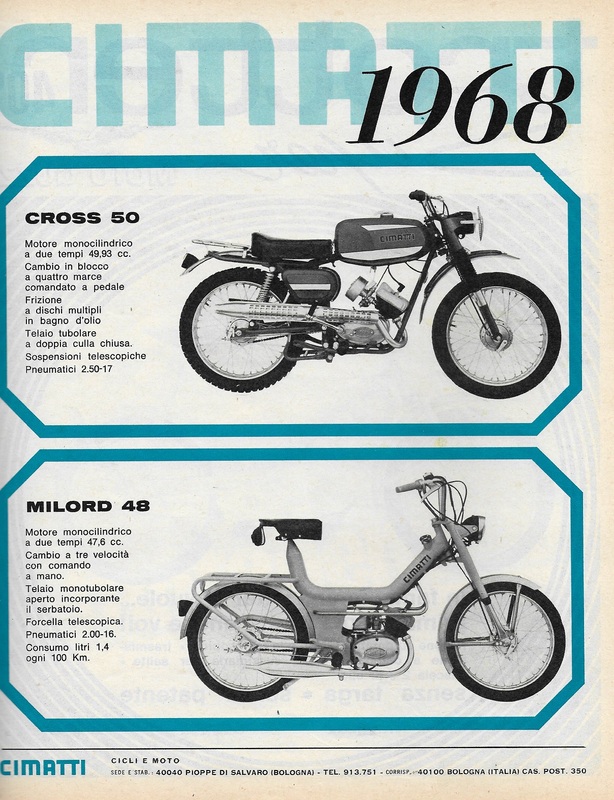 You are currently browsing the archives for the Cimatti Parts category.